Formed in 1976-77, Illertissen, south of the Swarbian Mountains. They play mainly instrumental stuff, although they occasionally offer some insightful lyrics. 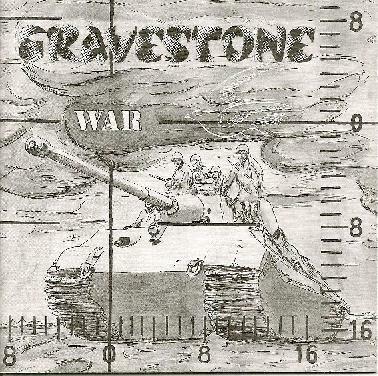 War is their second album, re-released on the Garden of Delights label in 2008. “They say they fight for peace, they say they fight for freedom. They say fight for your Mother Country, but they fight against you and me.” The music on this album is more produced and superior in quality compared to their first release Doomsday, yet it still has a roughness that is the bands signature. To me there is a Igra Stacklini Perli sound to the band, and at times it strays into the Progressive Rock world rather than mainly sitting in the psychedelic blues improvisations of their first release, although those styled tracks are still evident here, with variations, hence the Progressive Rock feel. War, it could be said is a tight and structured album in comparison to their first release Doomsday, and it should also be noted that War is a vast improvement in both song composition and sound quality to that first release. Yet there is no vast change to the set up and direction to the band and all their familiar trademarks sound are still intact, the only thing that has changed is good production.